The autopsy of the bodies of the civilians from the Syrian Idlib province, carried out in Turkey, proved that chemical weapons were used in the attack, Turkish Minister of Justice Bekir Bozdag said on Thursday. ANKARA (Sputnik) — On Wednesday, Turkish Health Minister Recep Akdag said that 30 people injured during the reported chemical attack in Idlib had been brought to Turkey for treatment, with three of them dying and being subject to autopsy held with the representatives of the World Health Organization in attendance. "The autopsy showed that chemical weapons had been used in Idlib," Bozdag said, as cited by the NTV channel. On Tuesday, the Syrian National Coalition of Revolution and Opposition Forces reported that some 80 people were killed and 200 injured on Tuesday in a chemical weapon attack in the town of Khan Shaykhun in Idlib, blaming the Syrian army for the incident. A source in the Syrian army later told Sputnik that the army did not have chemical weapons and the allegations could be part of anti-Damascus propaganda. 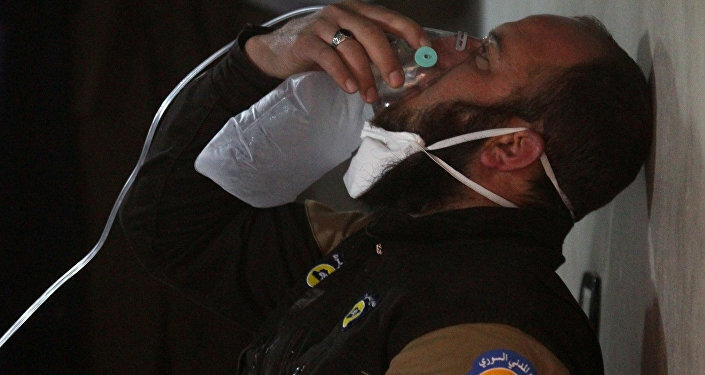 Following a 2013 chemical weapon attack in Syria's East Ghouta, Syria joined the Convention on the Prohibition of Chemical Weapons. This was the result of an agreement between Russia and the United States on the destruction of chemical weapons in the Arab country under the control of the Organisation for the Prohibition of Chemical Weapons (OPCW), which also prevented the US military intervention in Syria. In January 2016, the OPCW announced that all chemical weapons in Syria had been destroyed. However, in June 2016, the US State Department released a report saying Syria continued to use chemical substances against citizens and suggesting the country could also stockpile chemical weapons. UN High Representative for Disarmament Affairs Kim Won-soo said that the UN and OPCW experts still could not confirm the complete destruction of chemical weapon production facilities in Syria.